Nearly two weeks ago the New England Patriots and the Indianapolis Colts played each other in the semifinal football game and, during that game, a curious thing happened: It was found that the Patriots’ footballs (each team provides their own for a game, in hindsight a very stupid concept) were under-inflated. This caused an uproar. The Patriots, who had already been fined heavily a few years back for cheating, were accused of the “same-ol’ same-ol'”. Others came to the team’s defense, alternately wondering if maybe the weather had an effect on the ball’s inflation (I suspect that was easily disproven as the Colts’ balls, all of them, were properly inflated while a whopping 11 of the 12 balls the Patriots provided were under-inflated) or saying that under-inflating the balls wouldn’t create any noticeable advantage for the team. A few days back (you can read it here) I pointed out the research of Warren Sharp into what he felt was the “impossible” low numbers of fumbles New England has made since roughly 2007, when a change in rules favored by, among others, New England’s quarterback Tom Brady allowed individual teams to bring their own balls into games. Since that article came out, there of course appeared counterarguments (hence the reason I posted the above quote). Some of the counter-analysis has been curt to the point of insulting both the research of Mr. Sharp and as well as the person and claiming he and his statistics are a scam. New England may not be an all-time outlier in the history of fumbles. But no one disputes that they went from average to very, very good (with number of fumbles), and it happened suddenly, and it happened one season after the NFL allowed each team to provide its own game balls and the same season they were caught violating the rules in another controversy that had opposing fans alleging long-running wrongdoing. This might have happened because the Patriots acquired more sure-handed players in 2007 and moved to a spread offense, as Fustin suggests. Or it might have happened because the Patriots have had squishy balls for years, as everyone outside of Maine, Vermont, New Hampshire, Rhode Island, and Massachusetts suggests. The fumble stats alone are consistent with both theories. For me, the proof lies in what happens from here on in. You just know the NFL will be a lot more careful about the balls being brought into games. There will be a level of scrutiny towards them as never before to make sure all the balls in any given game are exactly as they should be. I’ll be very curious once that happens to see what New England’s fumble statistics look like and if the period from 2007 to 2015 will prove to be a statistical “aberration” and their fumbles fall more in line with your average team’s fumbles. If so, this should prove that under-inflated balls did prove to be an advantage. I first came to know of Mr. Brosnan, like many of my age, through his work in the TV show Remington Steele (1982-87). The show was popular enough for people to notice Mr. Brosnan and, given that at that time Roger Moore was showing his age and it was clear he wouldn’t be able to continue playing James Bond for much longer, it became a foregone conclusion that Mr. Brosnan would be taking over the role. Which made the by then faltering Remington Steele show get a second wind, ratings wise and be renewed for the 1987 TV season. Because Mr. Brosnan was still under contract for the show, he was unable to move on into the James Bond role for the 1987 film The Living Daylights. The role went to Timothy Dalton and with that movie’s success, it seemed Mr. Brosnan had missed his opportunity. However, the second (and it turned out, last) Timothy Dalton outing, License to Kill, was something of a flop and, for a while, it appeared that the James Bond franchise was teetering on the edge of collapse. Mr. Brosnan got his second chance to play Bond a full eight years after the cancellation of Remington Steel with 1995’s Goldeneye. I recall being very excited to see him in the movie though I never was one of those who hated Timothy Dalton’s take on the character. In fact, I felt Mr. Dalton was quite good in the two films he participated in. But License to Kill, Timothy Dalton or not, was a terrible film, one of my least favorite Bond features, and it didn’t surprise me when the producers didn’t want Dalton back. When Goldeneye was released, I was so there at the theater, dying to see Mr. Brosnan’s take on the character. Turned out, I was incredibly disappointed. Many consider Goldeneye the best of the four Brosnan Bond films. I feel all four of the films committed the greatest sin any Bond film could commit: They were all so terribly, terribly mediocre. Forgettable even. So much so that I have to actually check to see how many films he made because the movies’ plots, to my mind, bleed into each other with little cohesion. Disappointment led to inevitability. When Mr. Brosnan’s last Bond outing, Die Another Day, was released in 2002, it felt like this was the end of the beloved spy. It wasn’t of course, but that’s recent history I’m sure most are aware of. When I first heard about the 2014 feature The November Man, I felt that old excitement coming back. The idea of seeing Mr. Brosnan take up the “superspy” mantle once again was irresistible. And as I put the film into the DVD player and watched the first half hour or so, I was in bliss. Here we had Pierce Brosnan playing Deveraux, effectively an R-rated version of Bond and a take on that character I’ve been dying to see. He’s older and wiser, crankier and more foul mouthed, but deep inside he has a code of conduct and despite the foul business involving his job, he tries to let a little light into the world with his actions. I was loving what I was seeing. But after a while, the film let me down. Like the Bond films he participated in, not because of Mr. Brosnan. His superspy carried the film well despite its obvious low budget (much of the filming was done in the economically friendly countries of Serbia and Montenegro) and some of the plot twists in the story were fascinating to watch, but what killed The November Man for me was that at some point the film simply lost all credibility. One scene in particular, involving Brosnan’s Deveraux confronting the prime candidate for Russia’s presidency, proved laughable in its improbability. Without giving too much away, it strains credibility to think even a superspy as good as Deveraux could somehow and all alone make a frontal assault on such an important man, mow past his army of security guards, and actually get to him! Then, afterwards, despite all the gunplay in the Hotel he’s staying at, it seems no staff in the Hotel (particularly one -she had to be- deaf cleaning woman) has noticed the assault! It was from that point on that the film heaped incredulity upon incredulity and, frankly, the movie limped to its conclusion with our main character essentially hoping others would miraculously come save his bacon (if you’ve seen the movie think about the ending…what exactly was Deveroux’s plan at that point? He had none). In sum, and despite a very game and pleasing performance from Mr. Brosnan, I cannot recommend The November Man. A true shame. I caught several of them beforehand (one of the strangest is the very first one presented) but some were a big surprise, like Glenn Close’s appearance in Hook! The most fascinating thing about Otzi is that, as mentioned in the intro above, he was a murder victim. The fact that he died and was preserved for 5300 years makes him the old mummified corpse ever. Stuff like this just absolutely fascinates me. Count me among those that are confused and -now- disturbed by this upcoming film. If this is the new Fantastic Four outfit, it certainly looks absolutely nothing like what was presented in the original books. Add to the fact that in the above link the director talks about making the film “Cronenberg-ian” and I’m really, really confused. Sometimes one uses a book or a comic book more as an inspiration for the movie you’re making than adhering to the original source. Sometimes, that works. Men In Black, for instance, was almost nothing like the original comic book and the end result, I believe, was for the better. But Men In Black was a little known comic book and The Fantastic Four is quite the opposite. 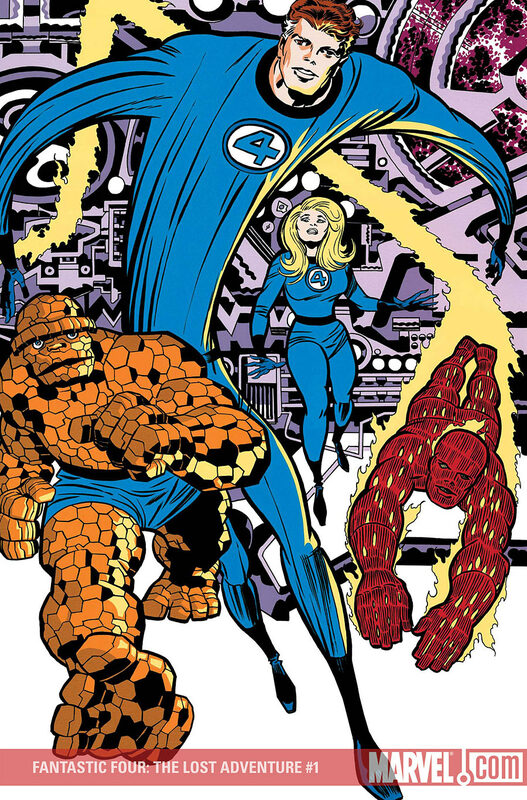 The Fantastic Four are a very well known and established entity. The comic books are beloved by many fans because of the elements found in them. While you can find similarities in the Fantastic Four to other superhero concepts, it is quite a stretch -at least for me- to look at any of the fifty or so year history of the book and think there are elements within it that are “Cronenberg-ian”. Of course, I haven’t seen the film yet. Indeed, like most people out there, the above picture and the cast/creator listings are the only things I know about it so far. Perhaps the film will surprise me and be something fresh and exciting and, despite much evidence to the contrary, adhere to the spirit of the Stan Lee/Jack Kirby books this film is supposedly based on. But at this moment, I have grave doubts. I’ve heard a lot from commentators since then. Some outright state that deflating the ball to the levels found in the Patriots’ balls is not worth making much of. Others feel this is part and parcel of the Patriots’ modus operandi, ie they were already were found and punished for cheated a few years before and this is par for the course. To all those who either scoff at the underinflation of balls or were, like me, unsure if such a thing would matter, please consider the statistics presented above. It shows the Patriots since around 2007 have led the league –strikingly!– in having the least amount of fumbles despite the large amount of plays performed, by an order of magnitude which is statistically incredible. A few years back there were those who scoffed at the advantages of using performance enhancing drugs for baseball players, noting that having more muscles doesn’t help you hit a fastball. Yet the reality was that when the baseball league decided to clean up their act, the number of home runs dropped dramatically and are now near the norm statistically. For me, this relates directly with “Deflategate”: The Patriots were using underinflated balls, who knows for how long now, and they were doing so because they obviously felt it was beneficial for them to do so. The statistics above may well point out the “why”. Now that the Patriots’ have been “found out” and I’m sure the league will be far more careful in checking out ball pressure, I’ll be very curious to see how the Patriots’ fumble statistics look like in the future. Will they fall more within the normal range of other teams? I will not be shocked if they do. Nothing like starting the work week in total panic…thanks to your alarm not going off. Will have to check what exactly happened. Electricity went out for a while on Saturday and I thought we had the alarm clock squared away. Turned out not to be the case and I feel like I’m still trying to catch up on things. Kennewick Man mystery soon solved…? The mystery of Kennewick Man is a fascinating one as it relates to the skeletal remains of someone who died 9500 years ago and whose remains were found on the shores of the Kennewick River in Washington. Given the age of the skeleton, a great deal of curiosity surrounds his ancestry. Native Americans claim him for their own as a distant ancestor and want his remains returned to them so that he may be properly reburied. Scientists want to keep and study the remains so they may get a clearer idea of who this very ancient American was and what his genetic ties are to other ancient peoples. It would appear that that later question may soon be answered. A confession: I’m in the middle of the “dog days” of Netflix film arrivals. The movies I’ve really wanted to see I’ve either bought and/or seen by now and what I have on my Netflix Que are secondary choices. By this I mean films that I’ve sniffed out that look interesting enough but are on my list until other films -the films I more want to see- arrive. One such film is the 2013 mystery/sci-fi hybrid I’ll Follow You Down. I truly cannot remember how this particular movie reached my awareness, only that I put it down on my list of films to see and about a month ago it arrived in the mail. Because of a great many things that took up my time during the holidays, I wasn’t able to see it until yesterday. I’ll Follow You Down features a grown up Haley Joel Osment (Sixth Sense) as Erol, an intellectual prodigy. As a young boy, Erol’s equally gifted father (played by Rufus Sewell) mysteriously vanished without a trace after going to a physics conference. Erol’s grandfather (Victor Gaber), turned out to be the last person to see him alive when he arrived at that conference and helped him bring some mysterious boxes to an abandoned room within the university where the conference was being held. Erol’s father’s disappearance, we find as we fast forward a decade plus, has destroyed Erol’s mother (Gillian Anderson). She is an emotional wreck who is reliant on medication she doesn’t want to take to stabilize herself. The young adult Erol holds off going to MIT and getting on with his life because he feels he has to take care of his fragile mother. Meanwhile, he is also dealing with his childhood sweetheart, also grown, and the life they may have for each other. Into all this Erol’s grandfather reveals a startling theory he has as to what happened to Erol’s father…and the possibility that together they might just be able to find him and “set things right”. I’m trying to dance around the central “big surprise” in this story but if you do even a cursory investigation of the movie’s plot that reveal will inevitably be made. Still, you might enjoy the film a lot more if you let this surprise reveal come on its own. Judging the film itself, I found it an entertaining and serious piece of work, even given the the more science fictional third act. It seems the film’s makers gave a good deal of thought and effort in their presentation and for the most part it works despite the movie’s obvious low budget (I suspect they might have loved to use more effects toward the end). The problem with the film is that it never reaches the suspenseful/emotional heights I also believe the film’s makers were trying to get to. The material is presenting at times in an almost too clinical manner and the viewer is never quite as invested in the characters and situations as s/he should be. Thus, despite plenty of good, I can only give this film a mild recommendation. You shouldn’t regret seeing it, but the film doesn’t engage as much as it should. Basically we have several scrolls that were found burned in the town of Herculaneum, a town close to Pompeii, which suffered the same fate during the eruption of Mt. Vesuvius back in 79 A.D.
Until now there was no way to “pull apart” the scrolls to try to read the material on them as doing so would destroy them. Now, however, thanks to a new X-Ray technique, there is a way to “see” the indentations of the writing on the scrolls without actually doing anything to them.